“I'm trying to capture the audio file from some YouTube videos, audio only, any suggestions on how to do?” – A User asked in a Mac forum. Watching YouTube videos is enjoyable, but if you are away from an internet connection, and you like to listen to podcasts, lecture, or only audio music when you work, drive, or exercise, streaming video is more than you can run. In this case, you may want to capture YouTube audio file for offline listening. In this article, we’ll show you two ways to capture YouTube audio on Mac, and you can listen the audio files saved from YouTube when you work, or exercise offline. To capture YouTube audio on Mac, you can use iFunia YouTube Download for Mac, a tool that designed specifically for batch downloading both YouTube audio and video offline with ease, and can save you much time. Step 1. Download and install YouTube audio capture app from iFunia on your Mac. Step 2. Launch the YouTube audio capture app, find the videos on YouTube that you want to grab the audio. Step 3. Copy the YouTube video url or drag-n-drop the video thumbnail to the app. This YouTube audio capture app supports batch downloading, you can add as many videos as you like to it at a time. Step 4. The app will start analyzing the videos after you adding the urls, and then will list all the videos that you want to take audio files. Now, you can choose the audio format (m4a, webm, or mp3) that you need as output. 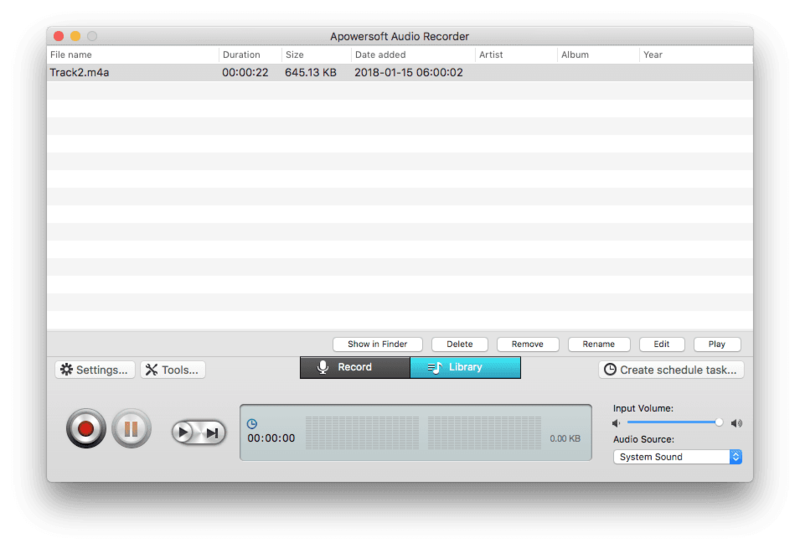 You can take m4a as the output format, which is compatible with iTunes, iPhone, iPad, or iPod. Step 5. Click download and a few seconds later, you’ll get the downloaded audio files from YouTube on your Mac. 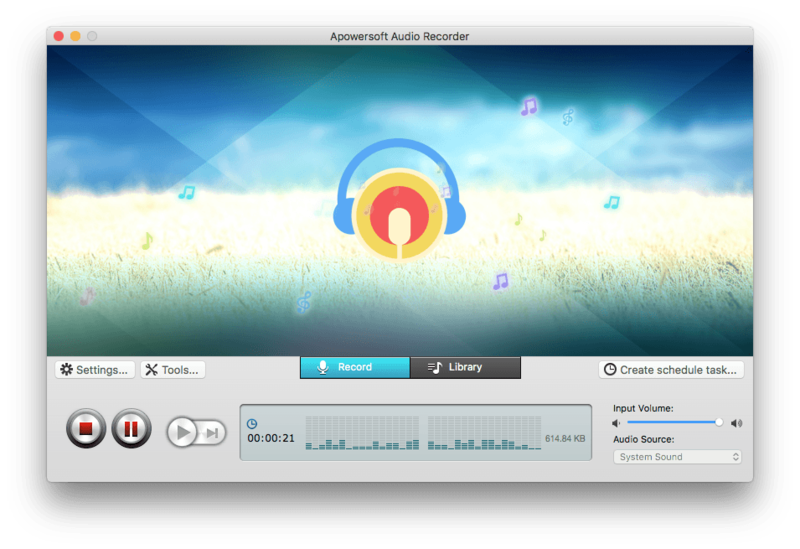 Another tool you can use to capture YouTube audio is Free Online Audio Recorder from Apowersoft. This free audio recorder is a web-based tool, no registration required. You can use it to capture YouTube audio by starting with system sound, microphone or both of them simply. Step 1. Open the Apowersoft free online audio recorder in the browser. You’ll need to install the launcher at first on your Mac computer if you haven’t used it before. Step 2. When you are ready to capture YouTube audio that you wish, click the “Starting Recording”, and it will turn to open the Mac online launcher. Step 3. Now you can click the “record” and starting YouTube audio capture on your Mac. Step 4. When you completed saving your favorite YouTube audio, you can find all the recordings in library. Well, to capture YouTube audio on Mac, it’s easy to do the task with tools. If you only want to download a little YouTube audio offline and with a limited budget, you could try Free Online Audio recorder; While if you would like to take numbers of YouTube audio for offline listening, I would suggest you to get iFunia YouTube Downloader pro version, which can do the job well within clicks, and supports many other streaming video sites too. 5 Actionable ways on how to download songs and playlists from Spotify to MP3 for Mac, Windows, etc. Top best websites for anime music download and a guide of how to free download anime music easily and quickly. Here is a detailed guide on how to download MP3 music from YouTube to Mac for offline listening. Best methods to convert video from YouTube to MIDI file on Mac and Windows.